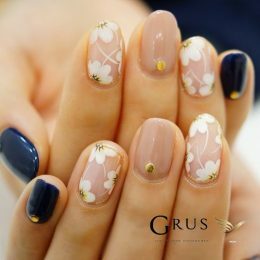 If you have lovely thick hair then first of all – you’re incredibly lucky, and second of all, there are a number of gorgeous and versatile hairstyles which can show off your incredibly thick locks. It’s often misconstrued that those with thick hair should only wear long hairstyles, but we think shorter styles make thick hairstyles look even better! 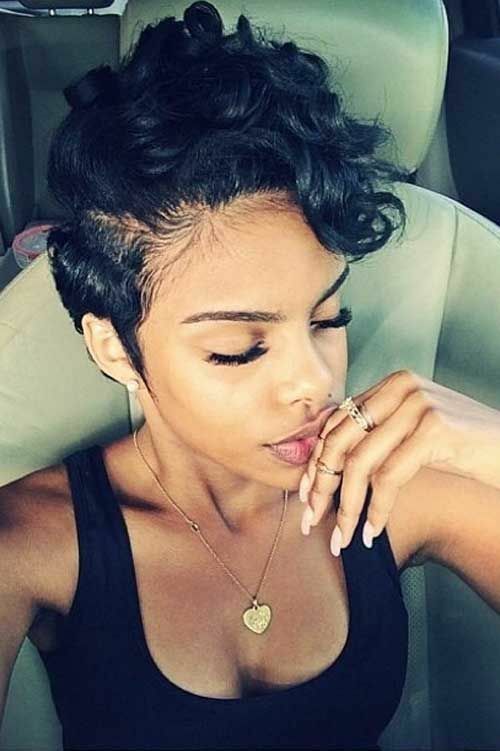 Here’s our amazing gallery of short hairstyles for thick hair, absolutely full of inspiration for you. 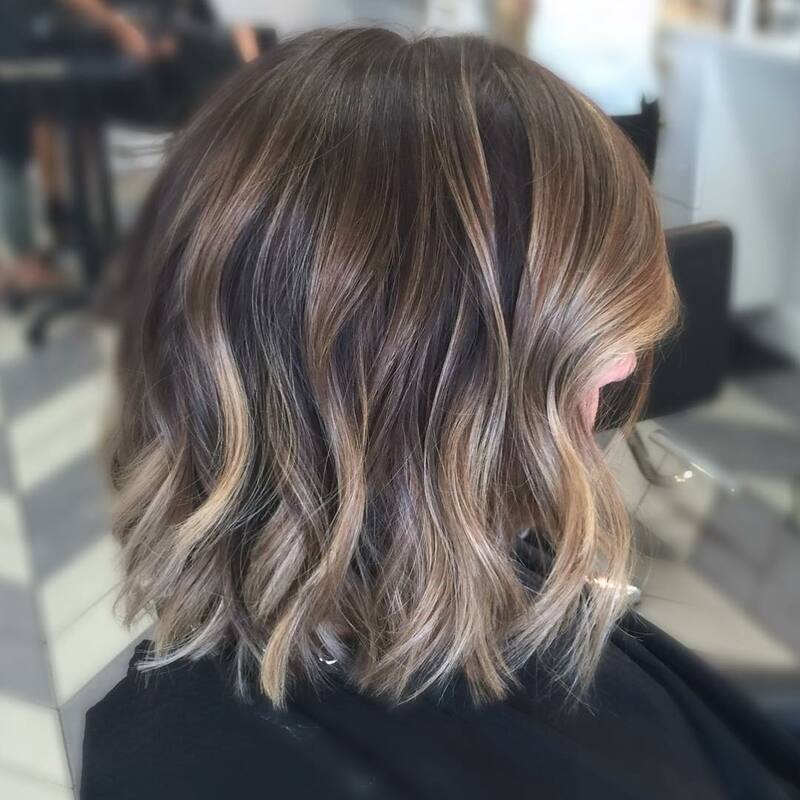 This absolutely stunning long balayage bob has well and truly stolen our hearts. 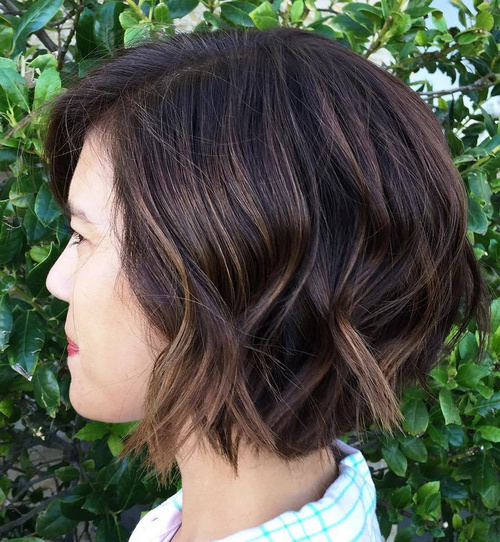 Starting this gallery off strongly, this beautiful bob falls around the shoulder length, and blends from a gorgeous and rich brown through to a lovely light blonde at the ends. This stylish lady has added curls throughout and lots of tousles for a bouncy finished effect. 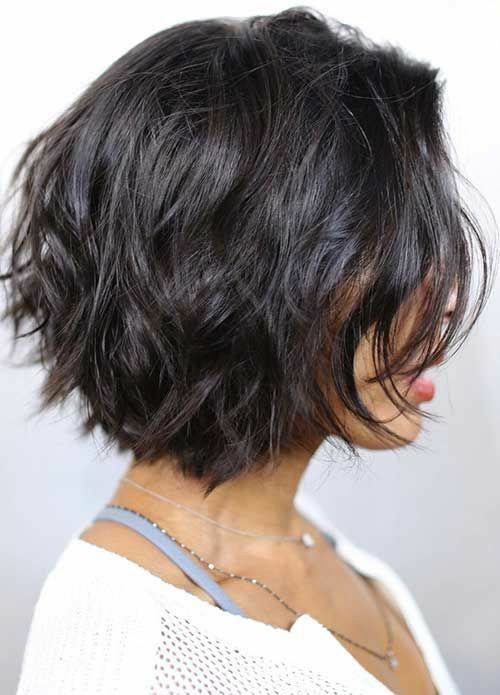 This stunning graduated curly bob is tousled and rugged, creating a super stylish shaggy finish. With strands slightly longer at the back of the head, with shorter strands at the front of the head falling to frame the face. The thick hair is separated into lots of lovely layers throughout, and the messy curls creates a fabulous thick silhouette. 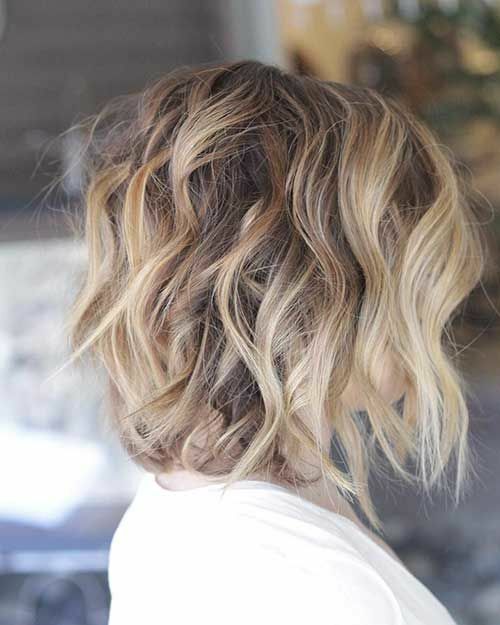 We absolutely love this choppy bob – this is the perfect style to work into your thick hair! 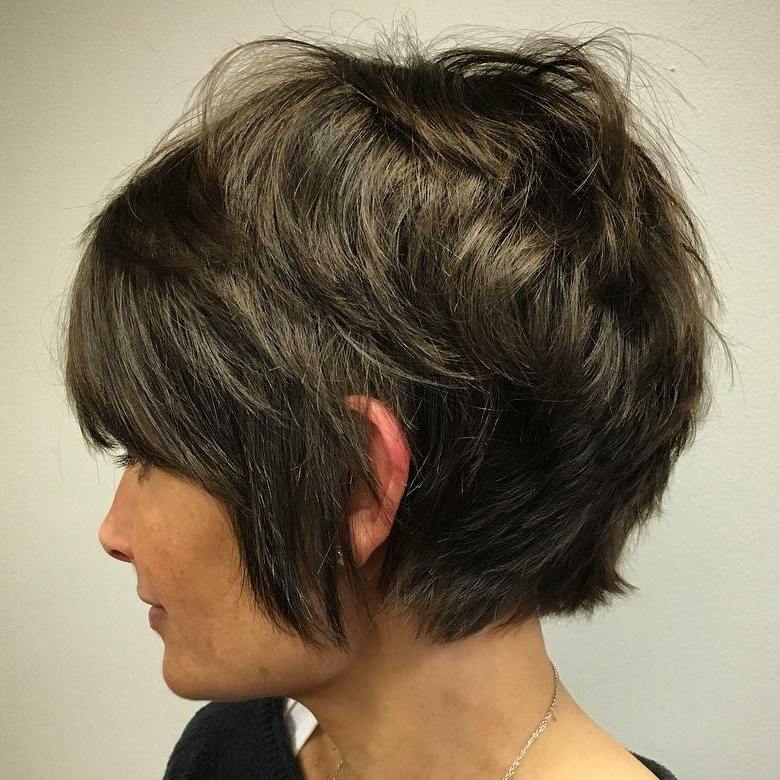 This lady has striking black glossy locks, which she’s cropped into a choppy bob full of lots of different layers throughout to create this fantastic flicked effect. She’s loosely tousled the locks for a shaggy finish which is just so on trend. 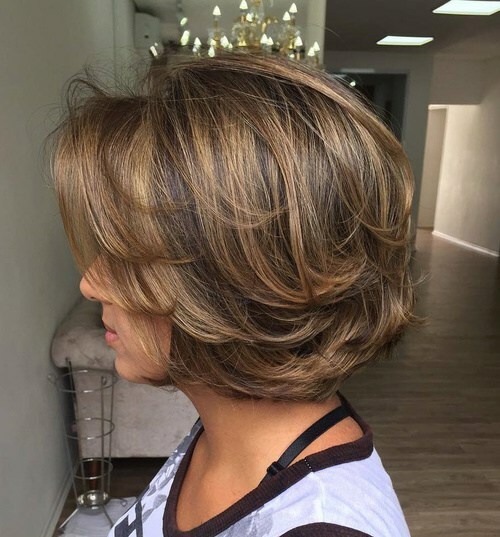 Another truly striking bob to add to the collection – this time full of wonderful caramel highlights! The base of the hair is a stunning and rich brown which is perfectly complimented by the dark blonde. This lady has opted for feathered layers throughout to create a textured finish, and has curled and flicked the ends backwards for this dramatic and stylish end result. 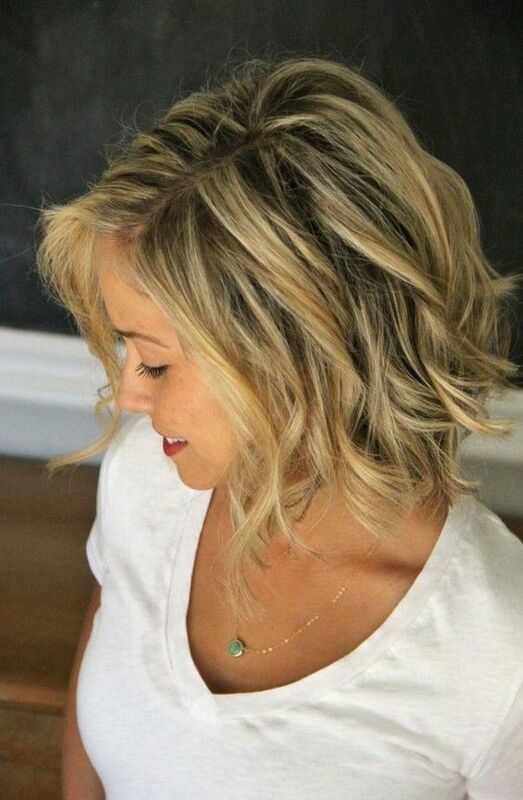 This gorgeous textured blonde bob is the perfect day to night hairstyle. This lady’s opted for a gorgeous side parting, leaving one half of the hair longer to frame the face and form a side fringe. Her hair is naturally a dark chocolate brown, but she’s opted for bright blonde highlights throughout. She’s added rugged curls throughout the ends of the hair for effect. 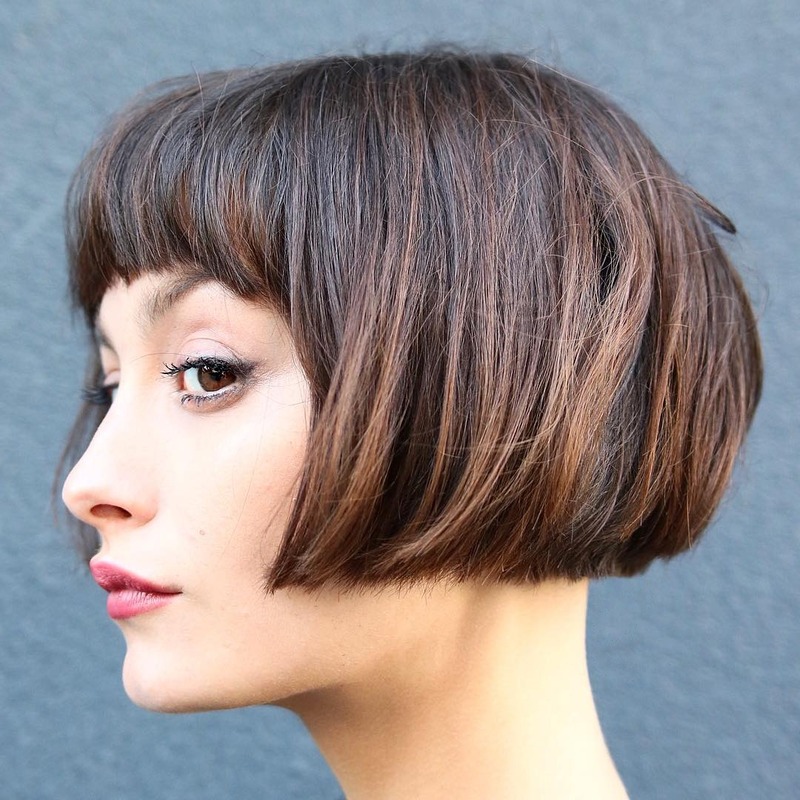 A wedged bob is one of our favourite short hairstyles, stacked at the back of the head and full of lovely choppy layers to create this gorgeous curved effect you see at work. The front of the hair has been finished with a short fringe to frame the face, with loose strands of hair falling for effect. Add a subtle tousle for a bouncy and voluminous finish. 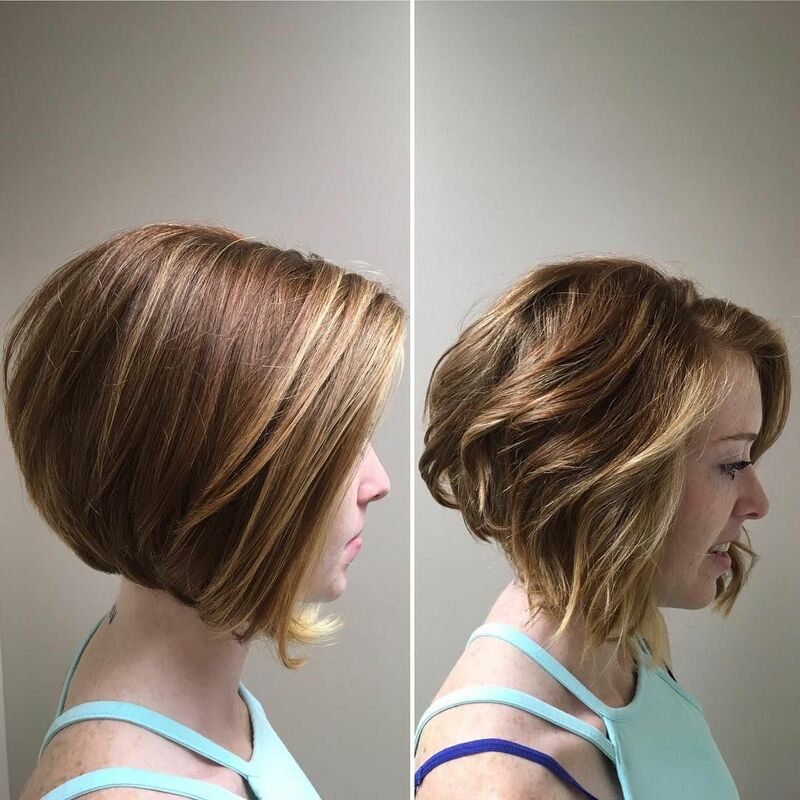 This bob is full of unique short layers which add a remarkable texture and end result to this lovely lady’s hair. Her brown locks are cut into a side fringe which frames the face, and finished with longer strands which sit around the ears. The back of the hair is absolutely full of choppy, short layers which this lady’s tousled for a lovely finish. 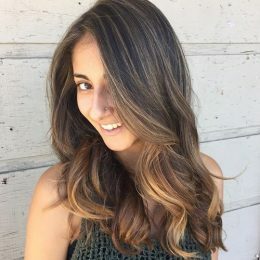 Just because you’re working with short hair doesn’t mean you can’t still be experimental with colour techniques like ombre or balayage – just as this lovely lady proves! Her hair works from a striking copper shade on the top and around the longer layers which fall around the front of the face. 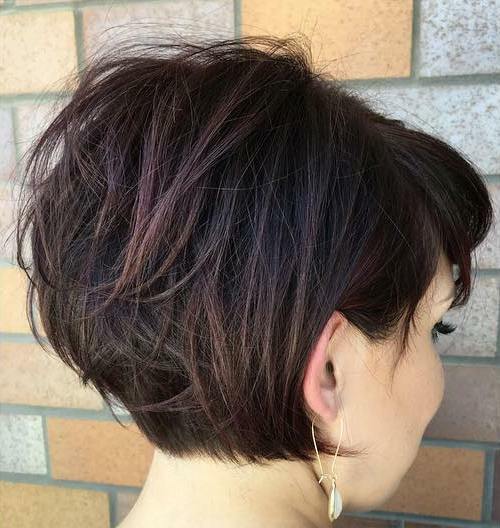 The back of the head with shorter layers is a dark, rich brown. 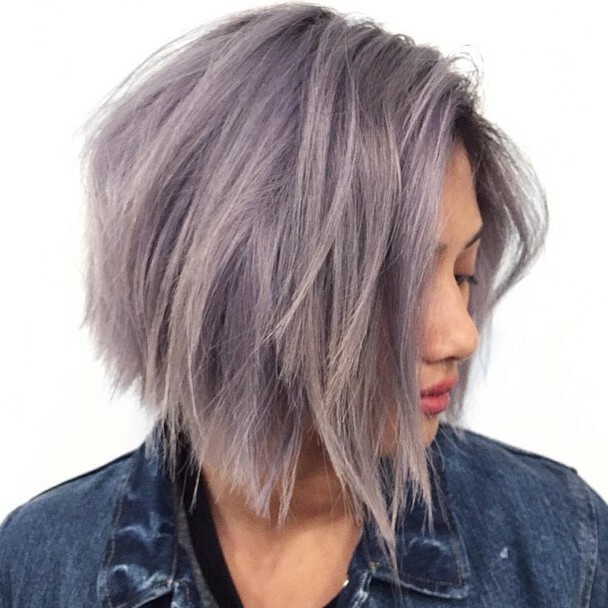 Perhaps one of our favourite looks from this entire collection, we think this edgy lilac bob is just striking. 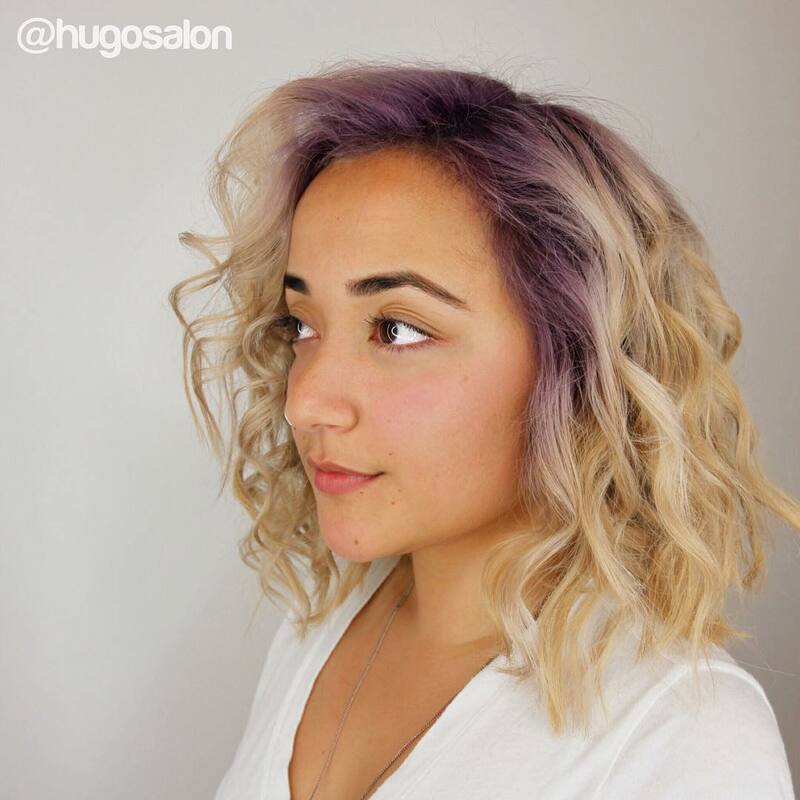 Working choppy and rugged layers throughout, falling ever so slightly longer at the front, this jaw length purple bob has the perfect textured finish, full of slightly tousled ends to create this amazing end result. This absolutely gorgeous bob is classy and wonderful, just perfect for a night out or a special occasion. 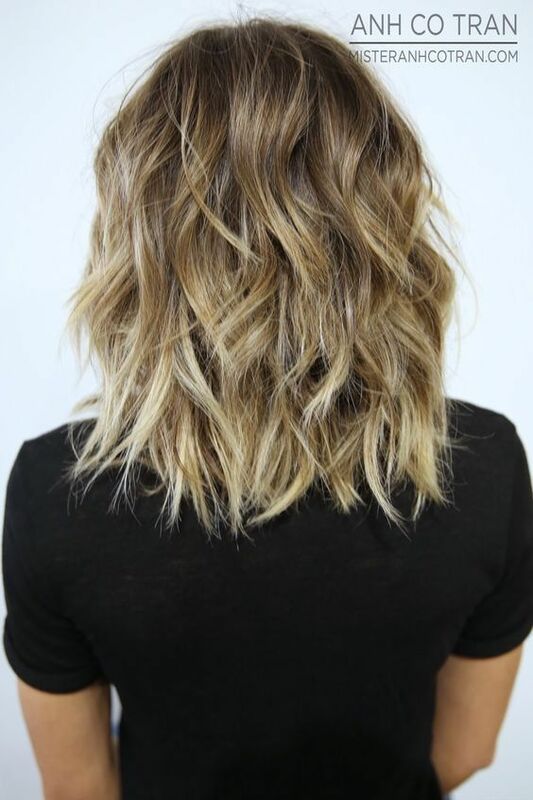 Starting with a base of a rich and glossy brown and finished with ever so subtle lighter brown highlights throughout, this curved bob is finished with beautiful curls for the lovely bouncy finish. This absolutely stunning lady has gorgeous hair to match, and we just can’t get enough of this look. She’s opted for an asymmetrical crop, with short hair cut close to the scalp on one side of the head, and a lovely long layer on the other side, which she’s added tight ringlets to to create this lovely and bouncy finished look. If you’re looking for short haircut for black women, try this one this year! 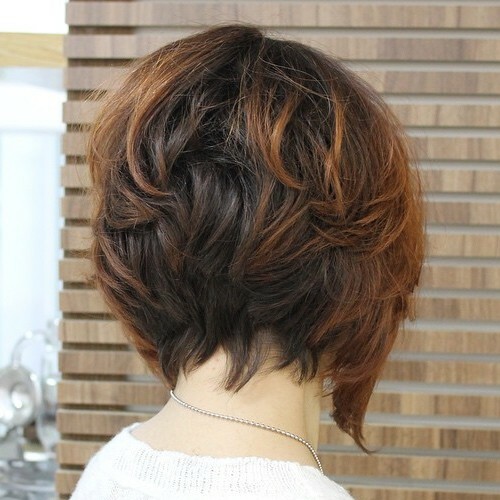 Which of these gorgeous short styles for thick hair are you going to use as inspiration for your next cut? Let the Styles Weekly office know – we’d love to hear from you!